Last Saturday night, I had no idea what to fix for supper. I didn’t want take out, but the cupboard was pretty bare at home. That afternoon I was catching up on a little blog reading and found this recipe. Thank you, www.mybakingaddiction.com! You saved C & I from a boring supper. Just about every time I cook pancakes, I burn the first one, but not with these beauties. Every one of them were perfect! I even had a few left over for breakfast the next morning. 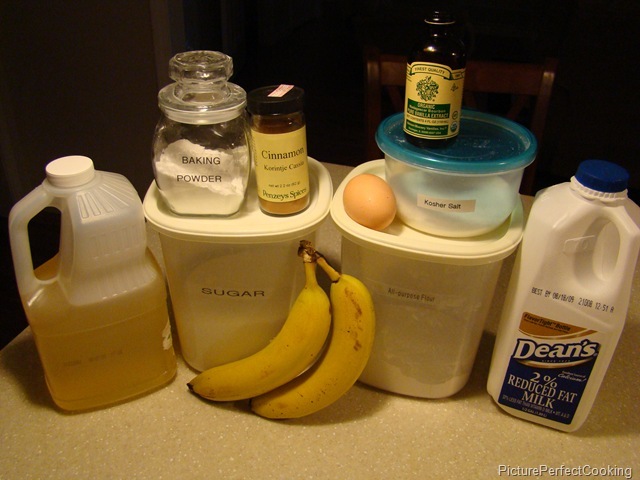 In a separate bowl, mix together egg, milk, oil, vanilla and bananas. 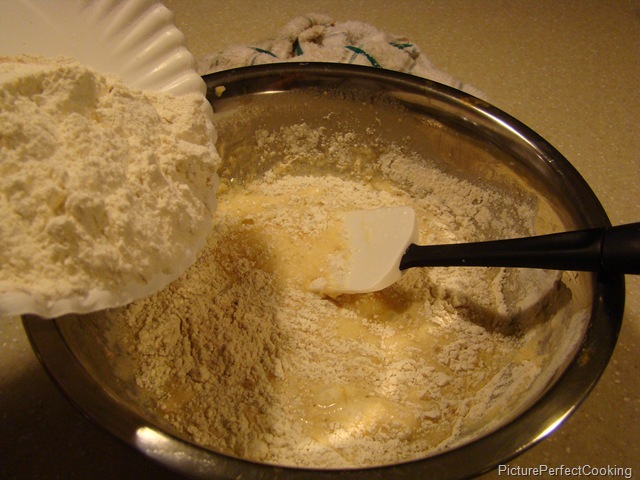 For some reason, this part of the batter looked a little gross to me, but don’t worry. It all turns out great in the end. 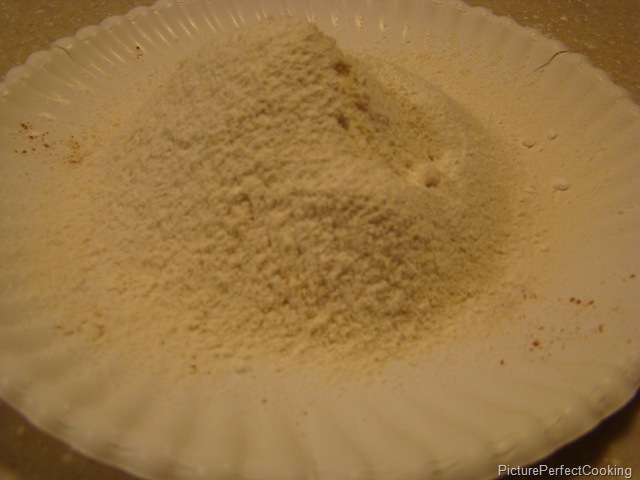 Stir flour mixture into banana mixture; batter will be slightly lumpy. As Alton Brown says, we are using the muffin method. 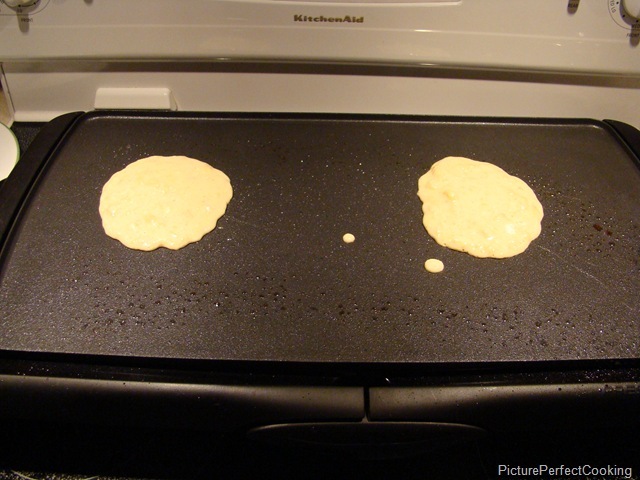 Heat a lightly oiled griddle or frying pan over medium high heat. I was lucky enough to receive an electric griddle for Christmas a couple of years ago. 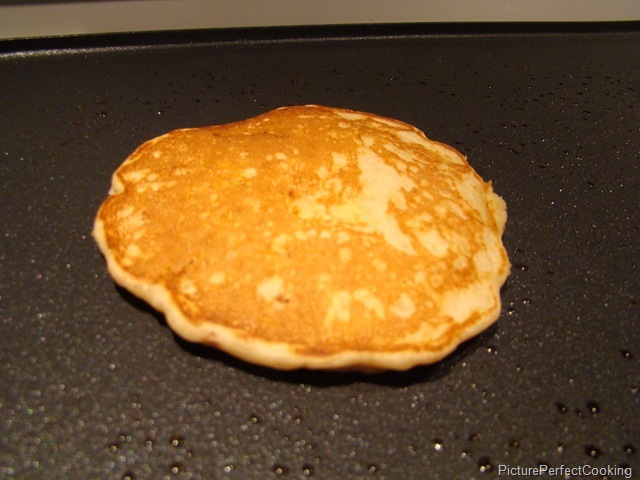 Pour or scoop the batter onto the griddle, using approximately 1/3 cup for each pancake. 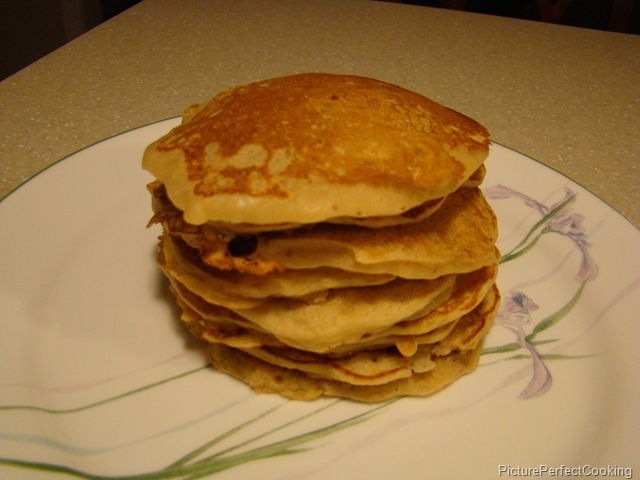 Cook until pancakes are golden brown on both sides and serve hot. 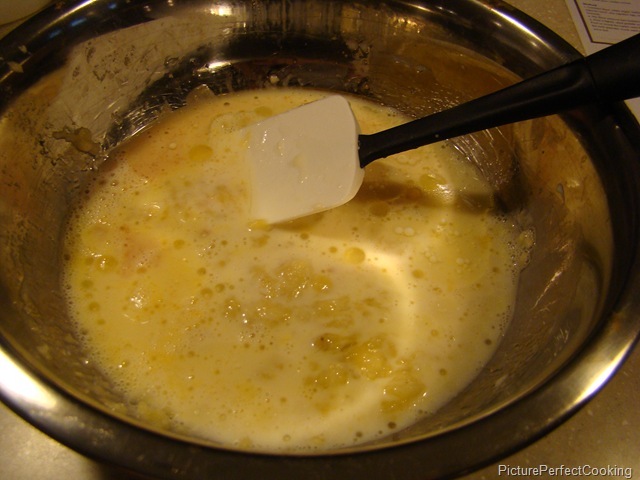 Oh, and add as much butter and syrup as you can stand! I must try these. 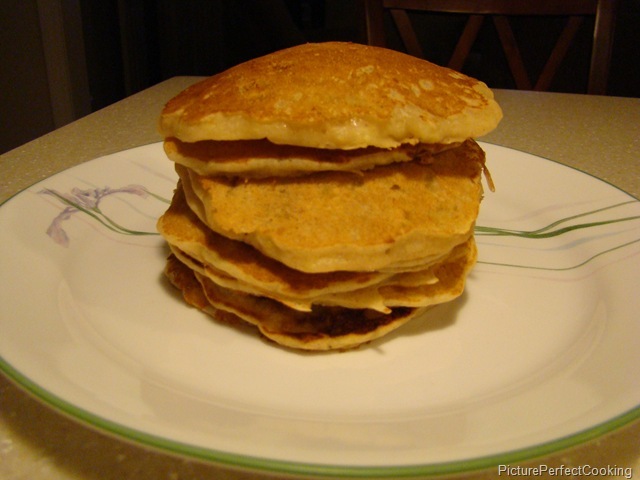 Pancakes are a dinner time staple at our house. Us, too! They are one of my favorite comfort foods. oh yum!! Thanks for linking this up to savory sunday!! Thanks for visiting and commenting! 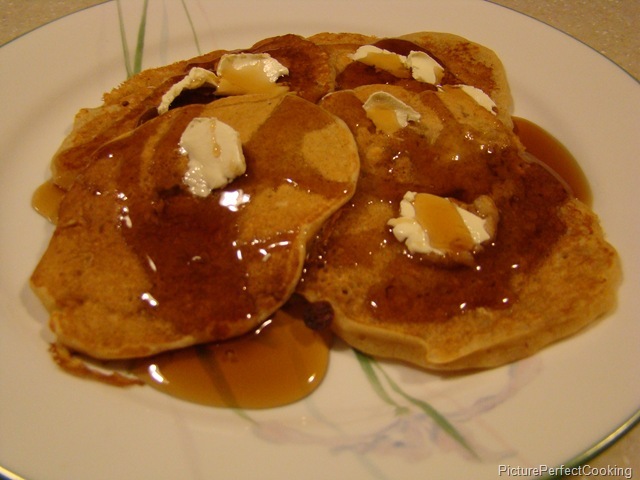 This is one of my favorite pancake recipes.